The almost 90 degree day did not temper excitement for the 17th annual event. This year’s Taste featured free activities for the kids ranging from face painting, carnival rides, and games to back to school haircuts, and book bags with school supplies. The event also had a petting zoo, a large assortment of food and craft vendors, live music from several bands and a classic car show. 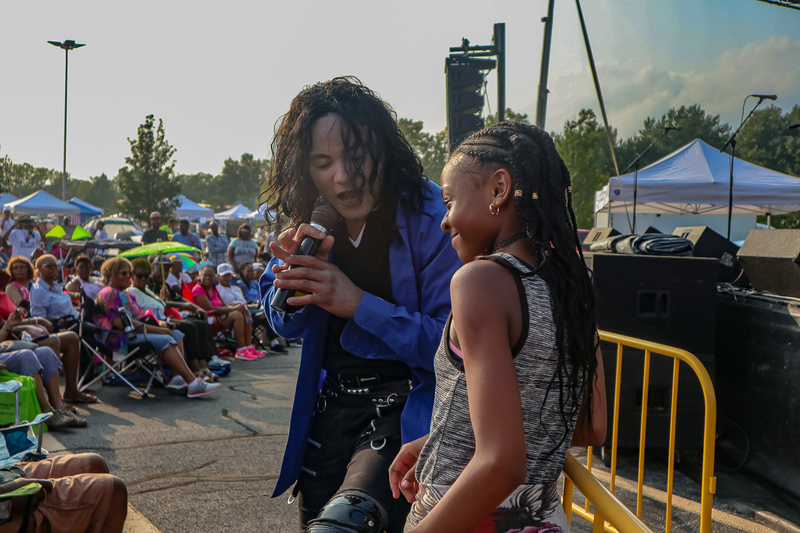 Several live bands entertained the crowd including a cameo appearance by Trysh Granberry, “America’s Got Talent” contestant, a Dolton resident and Thornton Township General Assistance employee. People from all over Thornton Township and areas as far as Chicago and Indiana were there. Mayors, elected officials throughout the area were in attendance. “South Suburban College being our new venue this year was incredible. We were able to expand like never before,” said Ernst Lamothe Jr., Thornton Township Community Relations Manager. The packed weekend also featured the second annual Taste of Thornton Township Basketball Tournament. The tournament involved teens and police playing on the same team for the pride of their town. This year, the Town of Markham defeated the Village of Dolton. Defending champion Lansing had to relinquish its title. Police Chief Dennis Murrin Jr. was in attendance with other officers and believed the program was an essential community initiative.